It is an essential truth that anyone in possession of a great book must also be in search of a great place to read. While the sofa may be the siren call for many, for others it is a larger question of location, location, location. What lovely café, what scenic park to choose? Every city has its secrets. From an architectural graveyard to the underbelly of a major highway, here are six hidden spots in Toronto to sneak in a chapter or two. 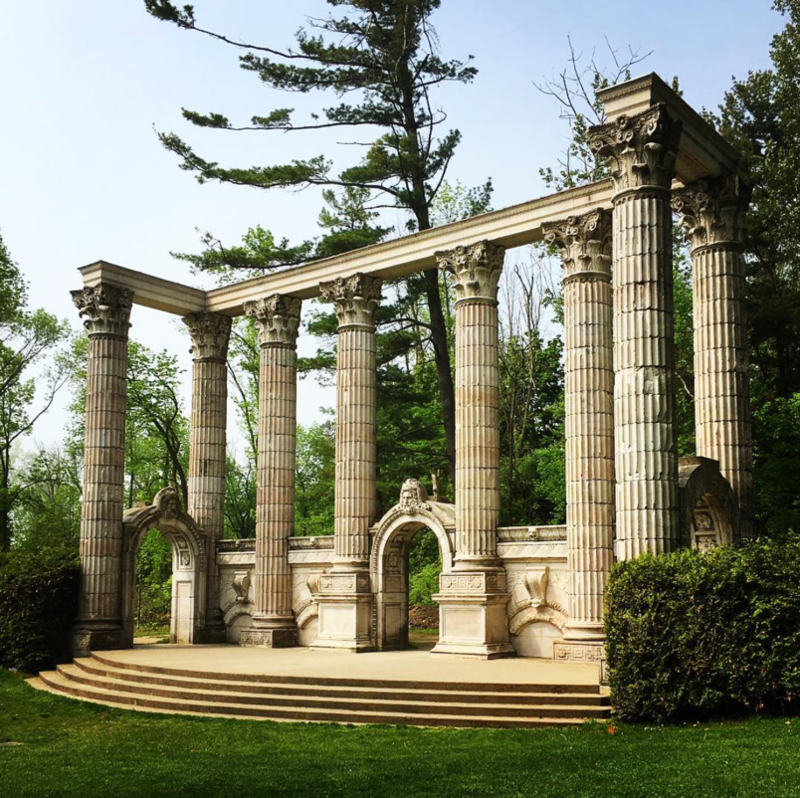 The Greek Theatre at Guild Park and Gardens. Why: Toronto’s architectural graveyard has more stories to tell than any novel you’ll read. Guild Park and Gardens was owned by Rosa Breithaupt Hewetson and Spencer Clark who were preservationists, saving architectural fragments from demolished buildings across the city and putting them on display. The Greek Theatre, constructed from remnants of the old Bank of Toronto building, where the TD Towers now stand, is the main landmark along with stonework from the old Toronto Star headquarters, which was demolished in the ‘70s to make room for First Canadian Place. What to read: The Song of Achilles by Madeline Miller. Read history in the presence of history – or, in this case, the retelling of an ancient myth. A dog sits at The Bentway’s amphitheatre by Strachan Avenue. 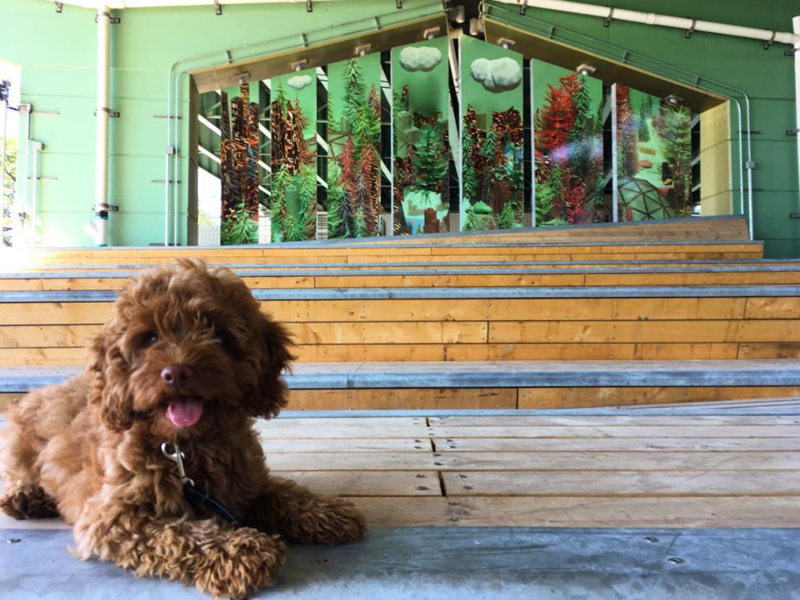 Why: The Bentway has transformed the Gardiner Expressway’s underbelly into a community gathering place where dog lovers, skaters and culture enthusiasts can unite. The Bentway has an amphitheatre at its west entrance by Strachan Ave. and has seating scattered throughout the 1.75km space, where you can read calmly as the rush hour chaos ensues above. What to read: Floating City by Kerri Sakamoto. As the river of traffic tumbles above you, read about a young man’s quest to find his place in the city, and the world. The heritage building & galleria make visitors feel as though they are in two different time eras. Why: During the nine to five work week, Brookfield Place is anything but calm. It’s fast-paced and noisy with the sound of multiple cellphone conversations and the clacking of shoes on the floor at different tempos. However, the complex is deserted on the weekend and becomes an unlikely retreat to read. 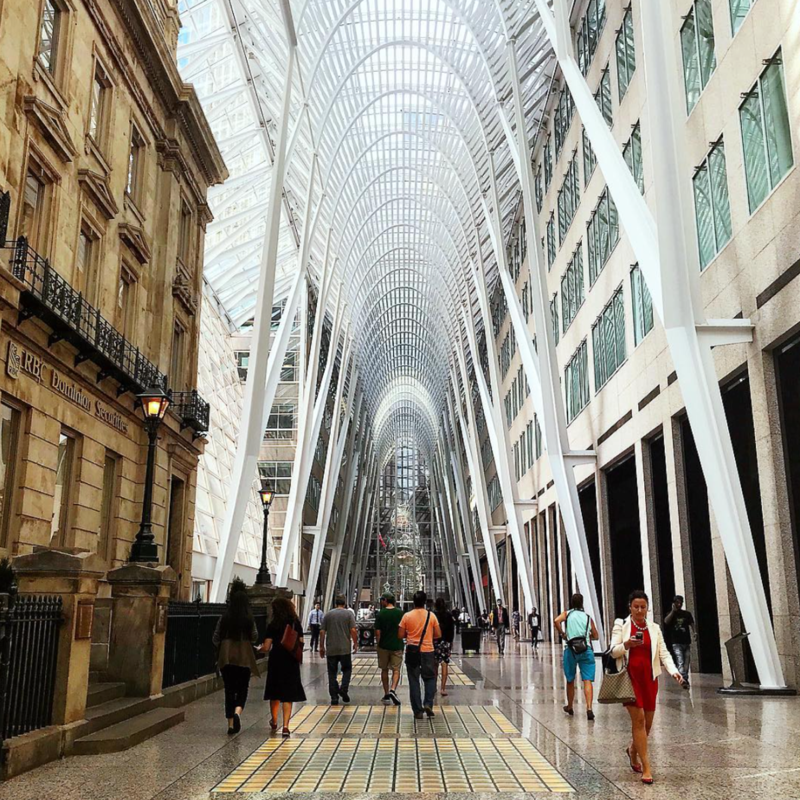 Brookfield Place has the ability to make you feel as though you are in two different eras with a futuristic galleria that soars with cathedral-high ceilings and a stone heritage structure built in 1845. The only place to sit are the steps of the heritage building, which overlooks the sparkling galleria. What to read: The Reckoning by John Grisham. The beautiful heart of the banking district is a great spot to read a southern gothic about a man who makes a decision about who is going to pay for sins of the past. The bamboo garden is a hidden secret on the U of T campus. Why: Relatively hidden from the public, the University of Toronto has a bamboo garden in its Terrence Donnelly Centre. 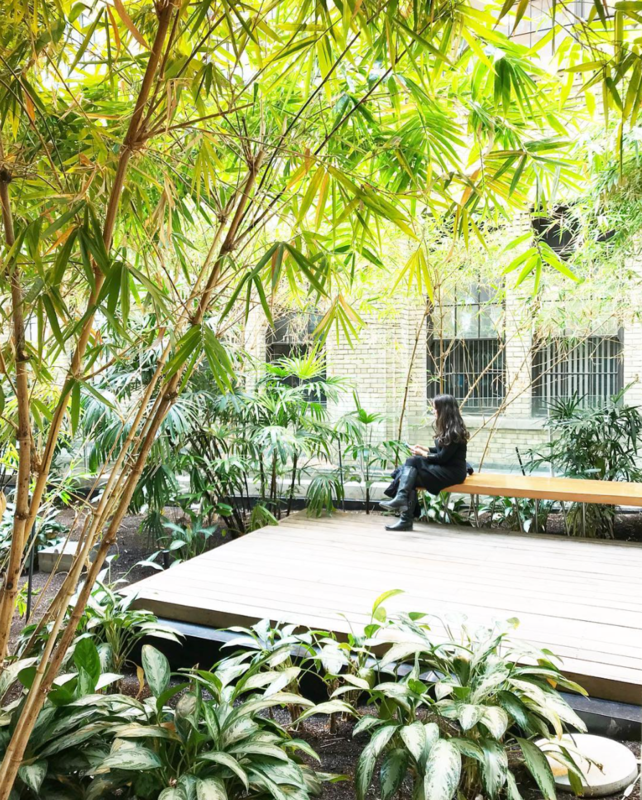 With wooden decks and benches throughout the atrium, the lush bamboo forest immerses readers and brings a piece of the tropics to Toronto, making it a destination for those trying to escape the freezing temperature and winter snow. What to read: Winter in Paradise by Elin Hilderbrand. A tropical setting calls for a tropical setting, in this case a twisting-turning story set in sunny St. John. 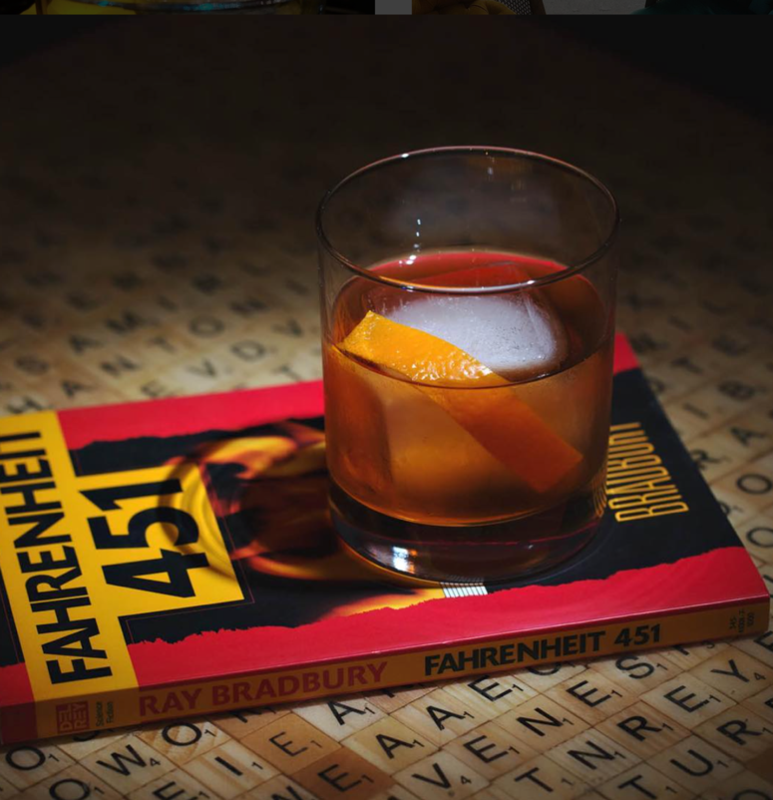 Drinks and books blend perfectly at Famous Last Words. Why: The odds of seeing someone reading at a bar is pretty unlikely, unless you’re at Famous Last Words, which has been dubbed the “Book Lovers” bar by its neighbours. With books scattered throughout, a Scrabble tiled bar top, bookshelf wallpaper and drinks named after novels, how could you not want to sink into their plush chairs with a cocktail and just read? Make sure to go right when it opens though, after nine it tends to get a little noisy. What to read: Famous Last Words by Katie Alender. While there are plenty of things you could read, it would only be fitting to read a novel titled Famous Last Words at this bar. Evergreen Brick Works lookout gives you the perfect backdrop for photos and reading. 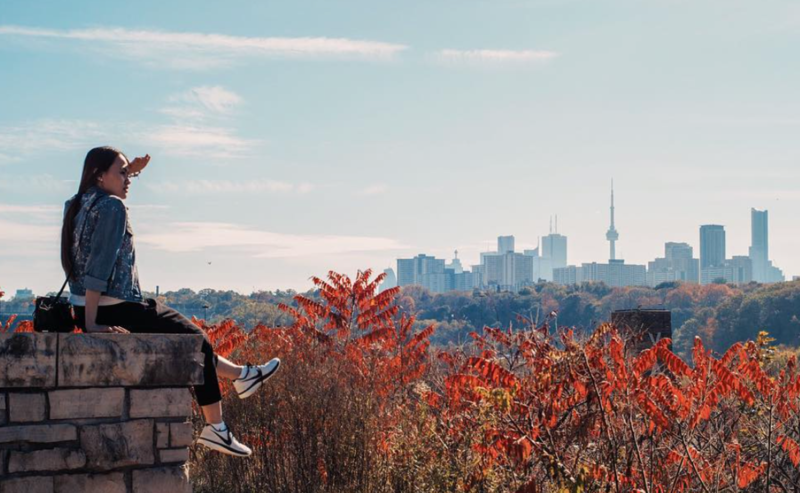 Why: The Evergreen Brick Works lookout provides stunning views of the skyline and a lush sprawling of trees. Whether you’re visiting when the leaves are changing colour in autumn or when they are being reborn in spring, it is a beautiful backdrop to sit and read. Even though it’s getting cold, you’ll still see people cuddled under a blanket with a hot beverage looking at the skyline. If the cold isn’t for you, then make a note to visit in the spring. What to read: Our Little Lies by Sue Watson. A reading date in the woods is a great spot for reading a spooky thriller; it’s kind of the grown-up version of telling ghost stories around a camp fire. Where are your favourite places to read in Toronto?